A few months ago, The Vitrolum Republic got the opportunity to perform at one of Milwaukee’s oldest landmarks, the Church of the Gesu on the campus of Marquette University. We took the opportunity to create not only a truly unique performance for a live audience, but an album that captures what our live shows are like in a way that our fans can enjoy and share. Named “Cream City Sessions ~ Gesu Cathedral,” this release is the first in what we hope to be an ongoing series of performances that reflect our band’s home town and the numerous incredible spaces it has to offer for performing music. The artwork for this album was chosen from some existing work by Milwaukee artist, Sue Lawton, who has previously both created original work for the Vitrolum Republic and incorporated the band in her book, The Circus and the Cyclone. This piece is titled, “Siren Song” and is from her surrealist opera. Find out more about Sue and her work at her website. You can download this album for free on Bandcamp and view the entire performance on YouTube. This album was also recently reviewed by our friends at the GeekDad blog at wired.com, so please go check that out. Thank you, Milwaukee, for your incredible support and we look forward to bringing our unique sound to even more people in the year to come. 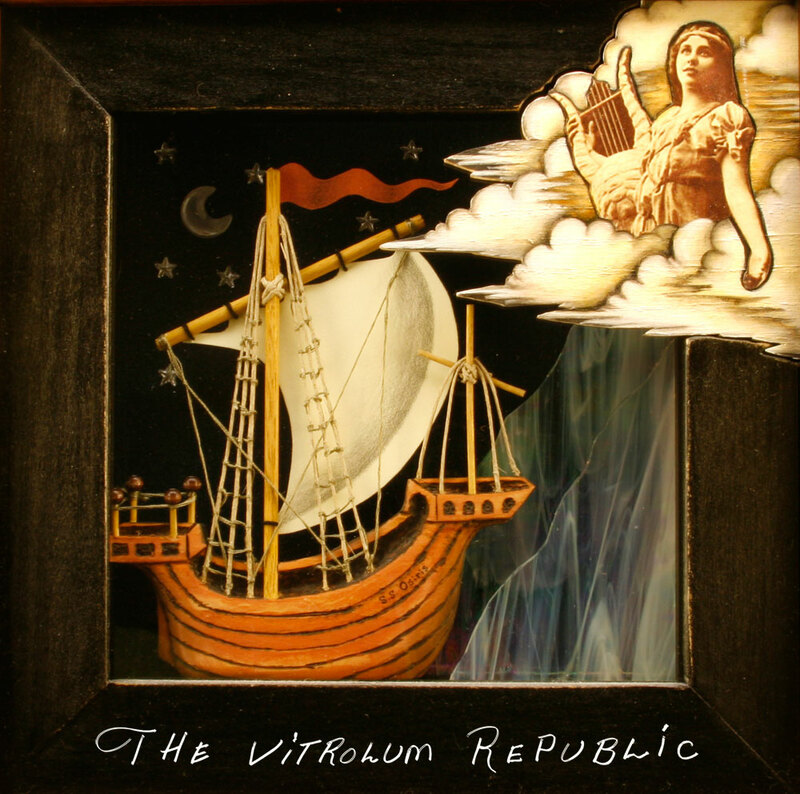 A couple months ago, The Vitrolum Republic performed on WMSE’s Local/Live program, playing a short set of music and an interview. It was a fantastic experience, as WMSE has a storied and important history in Milwaukee’s alternative music scene, and it was an absolute privilege to perform in their studio. You can listen to a recording of Dón Pravótchka (Go Forth!) from that session below and download your own copy for free here! Additionally, we stopped in the Journal Sentinel offices to perform some songs for their weekly feature, Sound Check. This accompanied one of the best print articles we’ve had, and really had a great time. You can read the article here and see the performance of Dón Pravótchka on YouTube along with Willow Song, which can be found below. Lastly, the Cedarburg Cultural Center will be hosting us along side Sue Lawton’s book release for The Circus and the Cyclone in February. Full details to follow. We performed a private event for them earlier and they wrote up a touching blog post about it. Additionally, our single, Beautiful Release, was featured on the website, Song Of The Day. In the review, the author says that our band, “instantly comes across with the depth and tone of a group well worn with the experience of decades of music making. We’re always excited and grateful to hear what others have to say about our music. Thank you for your kind words! We’ve additionally drummed up some new press. The UWM Post had an excellent review of a concert at Linneman’s with Wolfgang Schaefer and Castle Thunder. We also participated in the launch of a brand new Milwaukee music blog, Now Add the 7th, with an epic series of interviews. We also have an exciting summer ahead of us. We’re pleased to announce that we’ll be performing at Summerfest this year, along with a return to Polish Fest and a debut at Bastille Days. More to come, as always, so keep an eye on our tour page. Coming off of our successful CD Release Party, we have some great new press to showcase. First, the band performed live in-studio on the 414 Music program on 88Nine, Radio Milwaukee on February 3rd. 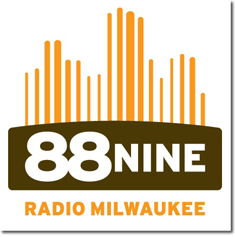 The producers at 88Nine were gracious enough to record the performance and are allowing us to post it for your convenient playback.